Dr. Belcourt (Otter Woman) is an American Indian Associate Professor in the College of Health Professions and Biomedical Sciences at the University of Montana’s Pharmacy Practice and School of Public and Community Health Sciences Departments (enrolled tribal member of the Three Affiliated Tribes, Mandan, Hidatsa, Blackfeet, and Chippewa descent). She completed her clinical training and doctoral studies in clinical psychology with advanced postdoctoral science training completed at the Centers for American Indian and Alaska Native Health. Dr. Belcourt has worked with the Sacred Women’s Journey Project in collaboration with Dr. Pearson since 2011. She facilitated the qualitative analyses of interview and focus group from this project and leads a manuscript examining qualitative ethnographic descriptions of posttraumatic stress disorder. She has also worked with the community to create videos capturing participant experiences. She has worked clinically with diverse populations, including combat veterans, Native Americans, and low-income populations specializing in posttraumatic stress reactions and multiple psychiatric conditions. 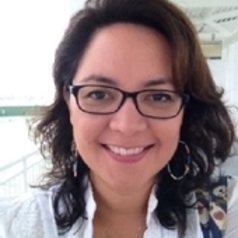 Her research and clinical priorities include mental health disparities, posttraumatic stress reactions, risk, resiliency, psychiatric disorder, and environmental public health within the cultural context of American Indian communities. She has worked in mixed methodological analytic research teams at the University of Montana, University of Colorado at Denver, and the University of Washington using both qualitative, quantitative, social, and biomedical approaches. She currently teaches American Indian public health courses at The University of Montana’s School of Pharmacy and Public Health. She was recently selected by the Harvard School of Public Health to serve as a JPB Environmental Health Fellow. She serves as a co-lead investigator of two RO1 5-year intervention grants aimed at improving indoor air quality within both Native and non-Native homes that rely upon wood stoves for heating. She has developed community based participatory efforts with communities using ethnographic digital storytelling and culturally grounded analytic techniques to advance effective scientific knowledge to indigenous communities. Community collaborators include tribal communities in Montana, Washington, New Mexico, Arizona, and Alaska. Dr. Belcourt serves as a Faculty Senator for the University of Montana, reviews for the National Institute of Health, and chairs the Ford Foundation Psychology Fellowship review panel guided by the National Academy of Sciences. She graduated from Browning High School on the Blackfeet Reservation and has three daughters.